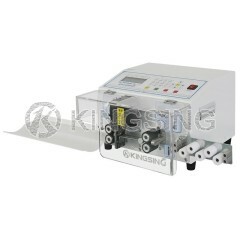 KS-W614 is specially designed for small and thin electric wires, it is an updated model based on KS-602. 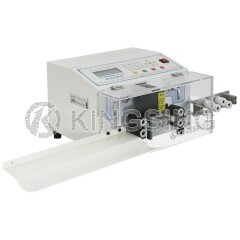 The machine is able to process 4 wires simultaneously, thus its working efficiency is 4 times than ordinary types. 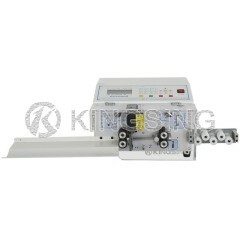 Conduit jumping function allow longer wire end stripping length. This stripper has automatic waste wire blowing function so that the blades can be cleaned automatically and keep its high accuracy. 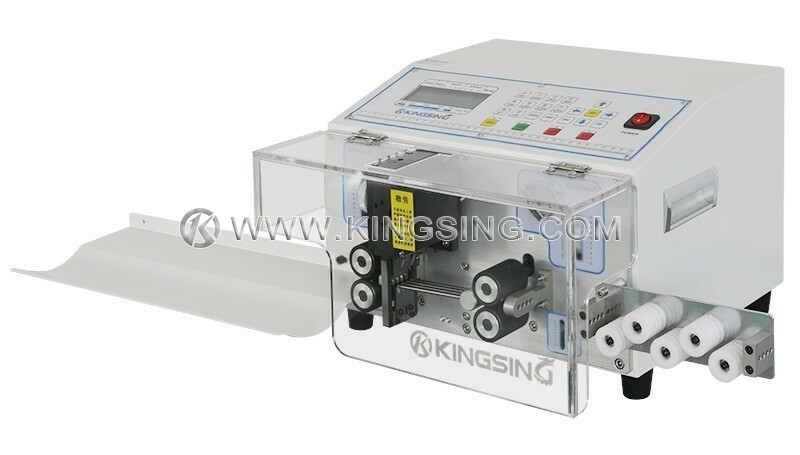 Extraordinary program function, one machine can handle various kinds of processing modes, including longer wire mode, short wire mode, middle strip mode, jacket wire mode, etc. The machine has 99 sets of memory function to store different parameter settings in its program, which the operator can retrieve in seconds. 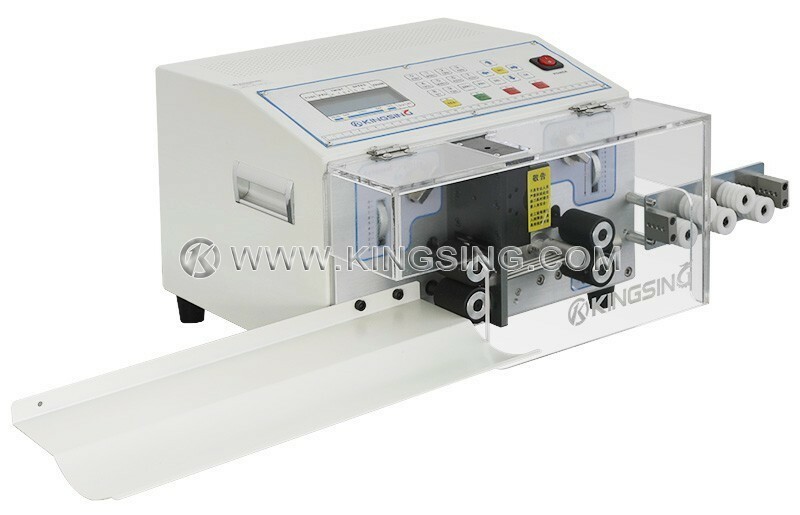 Conveyor belt is suggested while cutting length is above 0.5 meter, it guaranteed the processed wires to be collected straight and orderliness, moreover, it is time saving!